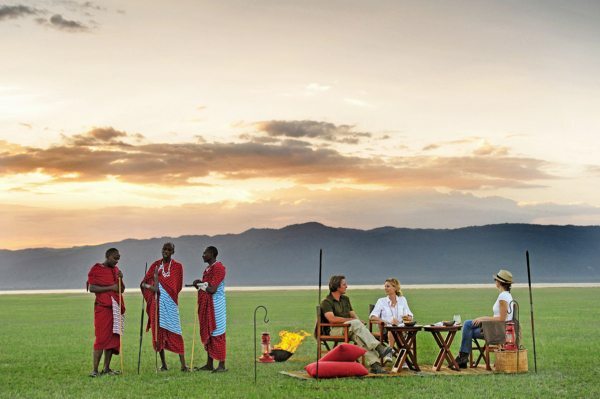 Three of northern Tanzania’s most iconic and essential wildlife areas, including the contrasting and fluctuating landscapes of Lake Manyara, the ‘lost world’ of the Ngorongoro Crater and the near-endless plains of the Serengeti. 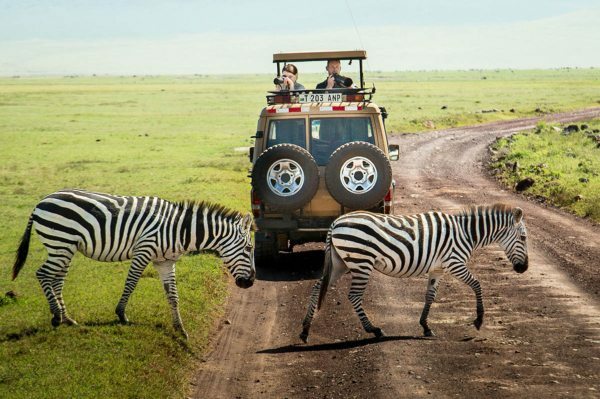 Opportunities to experience the art of the slow safari at Lake Manyara, go on safari in Tarangire National Park, descend into Ngorongoro Crater, see the Great Wildebeest Migration cross the Grumeti, go hot-air ballooning over the Serengeti and go on a Serengeti walking safari. A luxury two-bedroomed tented suite nestled within a palm oasis at Chem Chem (sleeping four), an authentic two-bedroomed farm house set in gardens and a working coffee plantation at Gibb’s Farm (sleeping four) and a private four-bedroomed house on a koppie overlooking the plains at Mkombe’s House (sleeping four adults and six kids). 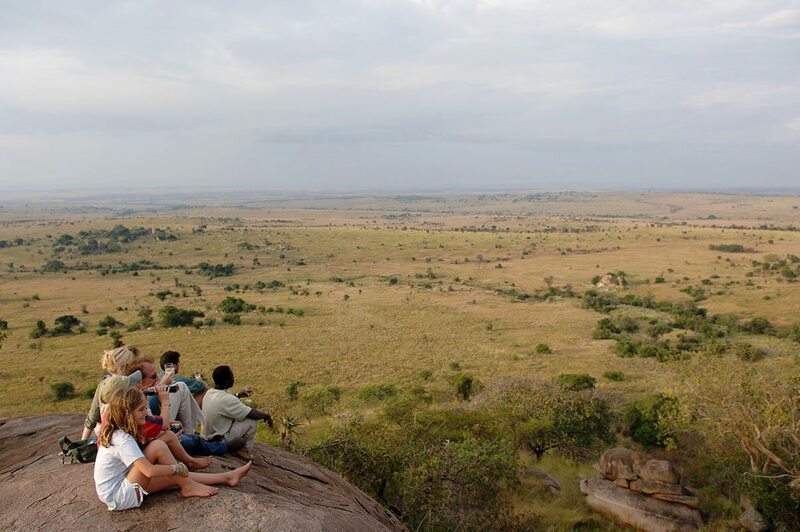 For more information see Chem Chem Lodge, Gibb’s Farm and Mkombe’s House. 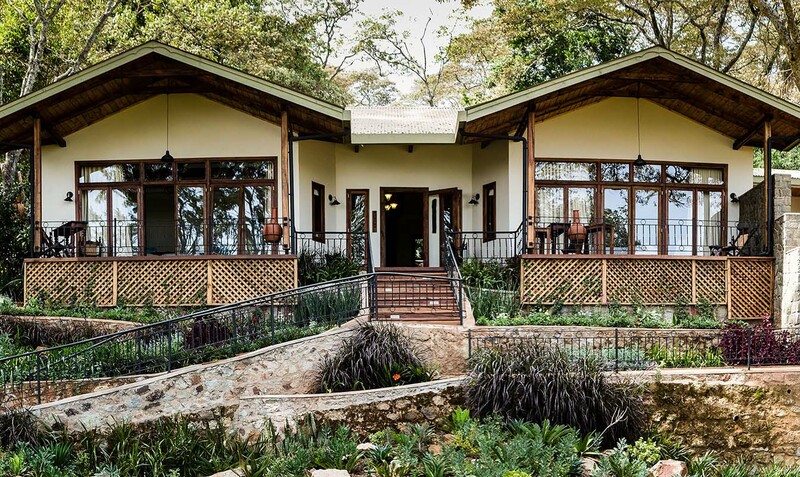 Arriving at Chem Chem Lodge, we were delighted with the views of glittering Lake Manyara. Our little girl was a bit perturbed that her and her brother would be separated from us by a short wooden bridge, but the affable manager took this is in his stride so that by the time we’d finished high tea (and watched giraffe enjoy their own leaves), furniture had been rearranged to create a boys’ room and a girls’ room instead. 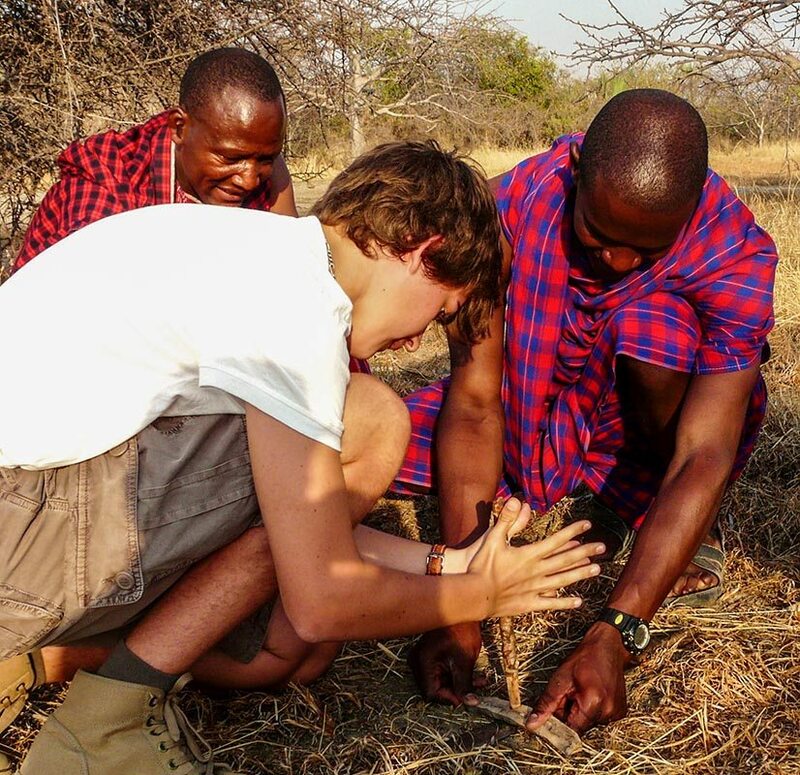 Calm was restored – or was that just the soothing effect of being on a slow safari in a palm-fringed oasis?Our son, an avid gamer, had been excited to learn that there were real warriors staying close by, so a visit to the local Maasai village was our priority for our second day. We took a back seat as our kids helped with a maths lesson in the primary school, and were then taught how to make a beaded bracelet (they’re both still wearing them now). It was fascinating to watch as cultural differences fell away and the universal languages of soccer, laughter and admiring each other’s hairstyles bridged the gaps between kids who, while half a world apart, had much in common.One thing that unites our family is a shared opinion that elephant are our favourite animal, so a game drive in Tarangire National Park the next day was a real treat. With the river being the only source of water they were not hard to find, and we spent a very happy morning watching a herd of over a hundred drinking, bathing and playing. Heading back to the lodge, our guide pulled over next to one of the many baobab trees and we tried to join hands around its massive girth. With our guide co-opted as an honorary uncle, we just made it. Arriving at Chem Chem Lodge, we were delighted with the views of glittering Lake Manyara. Our little girl was a bit perturbed that her and her brother would be separated from us by a short wooden bridge, but the affable manager took this is in his stride so that by the time we’d finished high tea (and watched giraffe enjoy their own leaves), furniture had been rearranged to create a boys’ room and a girls’ room instead. 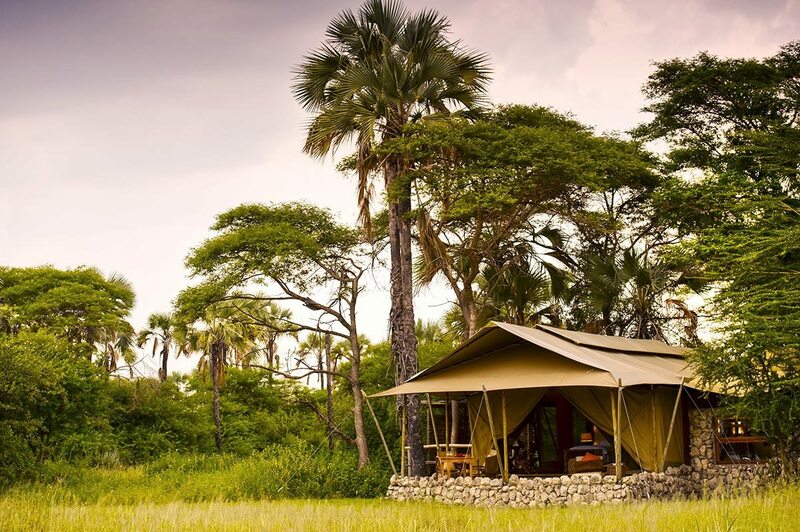 Calm was restored – or was that just the soothing effect of being on a slow safari in a palm-fringed oasis? Our son, an avid gamer, had been excited to learn that there were real warriors staying close by, so a visit to the local Maasai village was our priority for our second day. We took a back seat as our kids helped with a maths lesson in the primary school, and were then taught how to make a beaded bracelet (they’re both still wearing them now). It was fascinating to watch as cultural differences fell away and the universal languages of soccer, laughter and admiring each other’s hairstyles bridged the gaps between kids who, while half a world apart, had much in common. One thing that unites our family is a shared opinion that elephant are our favourite animal, so a game drive in Tarangire National Park the next day was a real treat. With the river being the only source of water they were not hard to find, and we spent a very happy morning watching a herd of over a hundred drinking, bathing and playing. Heading back to the lodge, our guide pulled over next to one of the many baobab trees and we tried to join hands around its massive girth. With our guide co-opted as an honorary uncle, we just made it. The road transfer to Gibb’s Farm was fascinating, as we passed through several African villages before entering the coffee plantation and finally the sprawling, landscaped gardens around the farm itself.Even our cottage at Gibb’s Farm seemed to exude a warm welcome, and the heady scents of tropical flowers and freshly roasted coffee hung in the air. 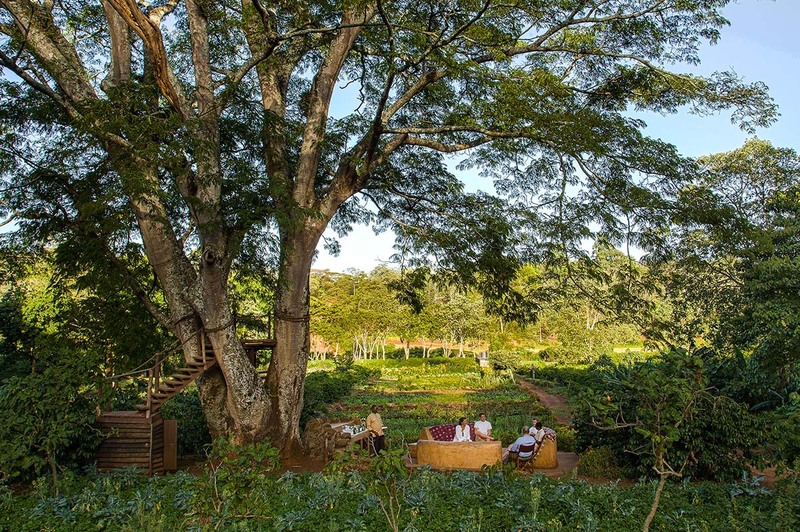 After a lunch on the terrace overlooking the gardens, we saddled up and headed out on a bike ride around the plantation. It was an eye-opener for our kids to learn that coffee doesn’t come from capsules, while the birds we saw darting between the trees were as brightly coloured as any of the pods they were more familiar with. After our free-wheeling afternoon, we more than did justice to the delicious farm-style dinner.Young eyes that were being sleepily rubbed as we left for a day in the Ngorongoro Crater were soon wide-open in disbelief as the first lion our kids had ever seen walked within tail-swishing distance of our 4×4 vehicle. We’d descended into the crater in search of game, and we weren’t disappointed. When the first animal of the day is a black rhino, you know you’re into something good. The lion were undoubtedly the highlight, and our daughter’s heart positively melted as ‘Simba’ whiled away his parents’ siesta time with a game of catch the tuft of Mom’s tail.Our lion sighting had left me feeling rather feline – and what better way to indulge than the spa? My partner joined me for a couple’s massage treatment while our kids headed out on a guided walk to learn more about the local plants. By the time we’d floated back to earth, they’d returned with heads full of botanical information (including the rejuvenating powers of the herbs the therapists had used) and pockets full of coffee cherries. After lunch, we checked out the on-site artists’ studio and couldn’t resist buying a canvas or two – they seemed rather appropriate souvenirs of our time in tents! 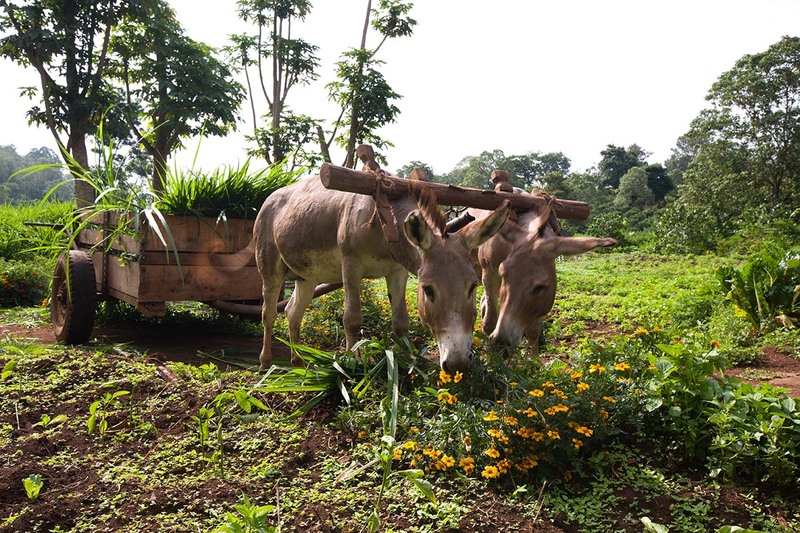 The road transfer to Gibb’s Farm was fascinating, as we passed through several African villages before entering the coffee plantation and finally the sprawling, landscaped gardens around the farm itself. Even our cottage at Gibb’s Farm seemed to exude a warm welcome, and the heady scents of tropical flowers and freshly roasted coffee hung in the air. 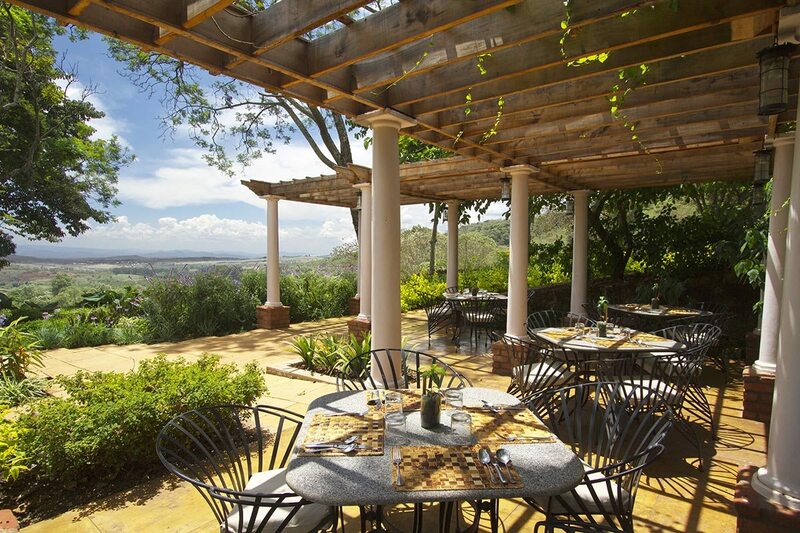 After a lunch on the terrace overlooking the gardens, we saddled up and headed out on a bike ride around the plantation. It was an eye-opener for our kids to learn that coffee doesn’t come from capsules, while the birds we saw darting between the trees were as brightly coloured as any of the pods they were more familiar with. After our free-wheeling afternoon, we more than did justice to the delicious farm-style dinner. 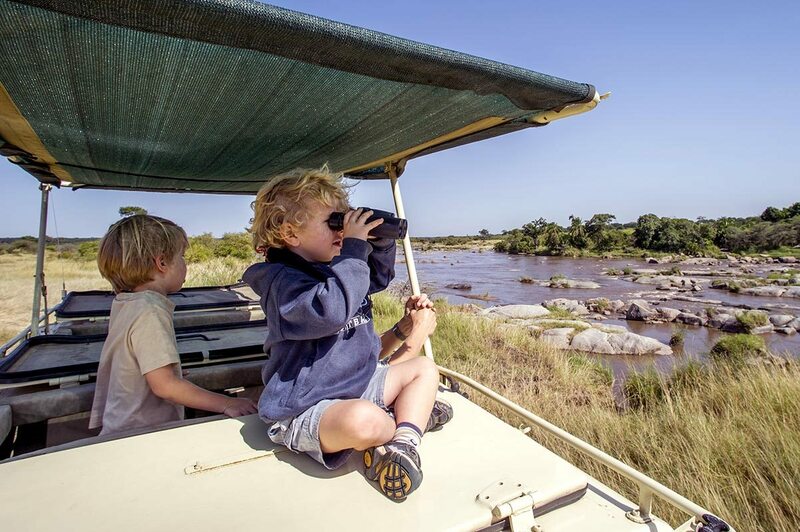 Young eyes that were being sleepily rubbed as we left for a day in the Ngorongoro Crater were soon wide-open in disbelief as the first lion our kids had ever seen walked within tail-swishing distance of our 4×4 vehicle. We’d descended into the crater in search of game, and we weren’t disappointed. When the first animal of the day is a black rhino, you know you’re into something good. The lion were undoubtedly the highlight, and our daughter’s heart positively melted as ‘Simba’ whiled away his parents’ siesta time with a game of catch the tuft of Mom’s tail. Our lion sighting had left me feeling rather feline – and what better way to indulge than the spa? My partner joined me for a couple’s massage treatment while our kids headed out on a guided walk to learn more about the local plants. By the time we’d floated back to earth, they’d returned with heads full of botanical information (including the rejuvenating powers of the herbs the therapists had used) and pockets full of coffee cherries. After lunch, we checked out the on-site artists’ studio and couldn’t resist buying a canvas or two – they seemed rather appropriate souvenirs of our time in tents! The light-aircraft flight to our final lodge was a real highlight, especially the approach to the airstrip. It felt as though the pilot would have to dodge several herds of wildebeest – the first of many we’d see in the Serengeti.Our timing could not have been better – we’d arrived at Mkombe’s House just a few days after the vanguard of the Great Wildebeest Migration had pulled into this idyllic corner of the Serengeti. On the short drive from the airstrip, our guide explained that the herds would rest and graze here for a few days before attempting a crossing of the Grumeti River. In contrast to the throngs on the plains below, we had an entire koppie to ourselves, and only had to share the almost infinite views with the vultures soaring high above us.Our son’s birthday proved to be an uplifting experience – unbeknown to him, we’d booked a hot-air balloon ride to mark the occasion, and we lifted off just after sunrise to glide almost silently over the assembled herds. The wildebeest paid us no mind – they had weightier matters to ponder than the passage of our parcel of heated air – but when the rising sun threw our shadow across a resting pride of lion, once lioness gazed up at us. Landing (not by the lion) we enjoyed a Champagne breakfast (with mango juice for the kids, of course) under a lone savannah tree.We could tell that Africa had left its mark on our kids, in the most wonderful way. 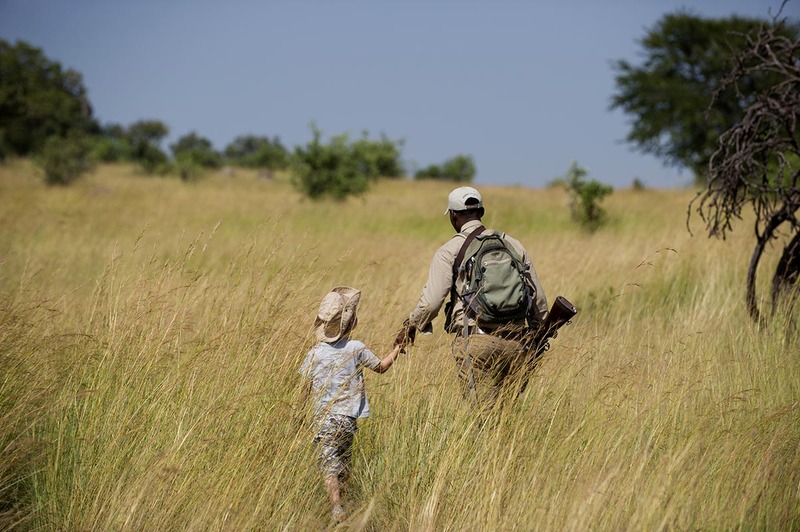 We decided that we needed to return the compliment before the end of our Tanzania family safari, and readily agreed to our guide’s suggestion of a walking safari. The wildebeest – still to attempt the river crossing – watched our progress with some bemusement, as our walk was a mere fraction of their journey.When we got back, our daughter excitedly told us she’d seen a small, non-venomous python and – by this point, a fearless Africa veteran – that she’s casually crouched next to it in her Facebook profile picture. The light-aircraft flight to our final lodge was a real highlight, especially the approach to the airstrip. It felt as though the pilot would have to dodge several herds of wildebeest – the first of many we’d see in the Serengeti. 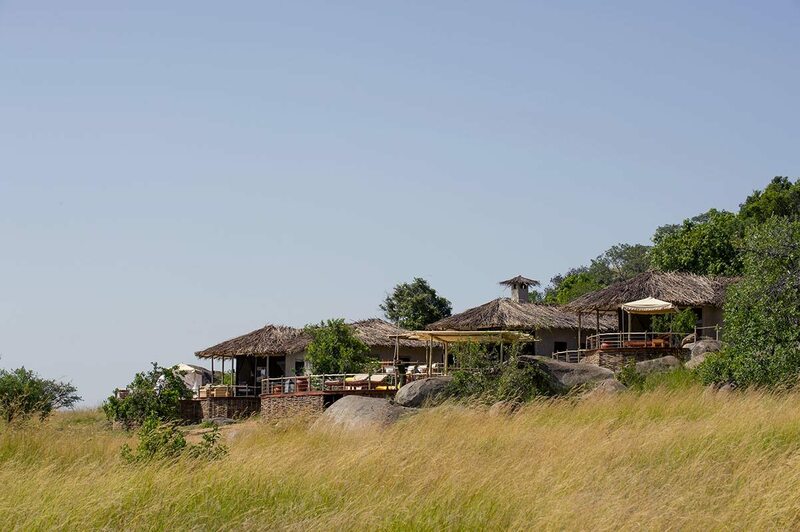 Our timing could not have been better – we’d arrived at Mkombe’s House just a few days after the vanguard of the Great Wildebeest Migration had pulled into this idyllic corner of the Serengeti. On the short drive from the airstrip, our guide explained that the herds would rest and graze here for a few days before attempting a crossing of the Grumeti River. In contrast to the throngs on the plains below, we had an entire koppie to ourselves, and only had to share the almost infinite views with the vultures soaring high above us. Our son’s birthday proved to be an uplifting experience – unbeknown to him, we’d booked a hot-air balloon ride to mark the occasion, and we lifted off just after sunrise to glide almost silently over the assembled herds. The wildebeest paid us no mind – they had weightier matters to ponder than the passage of our parcel of heated air – but when the rising sun threw our shadow across a resting pride of lion, once lioness gazed up at us. Landing (not by the lion) we enjoyed a Champagne breakfast (with mango juice for the kids, of course) under a lone savannah tree. We could tell that Africa had left its mark on our kids, in the most wonderful way. 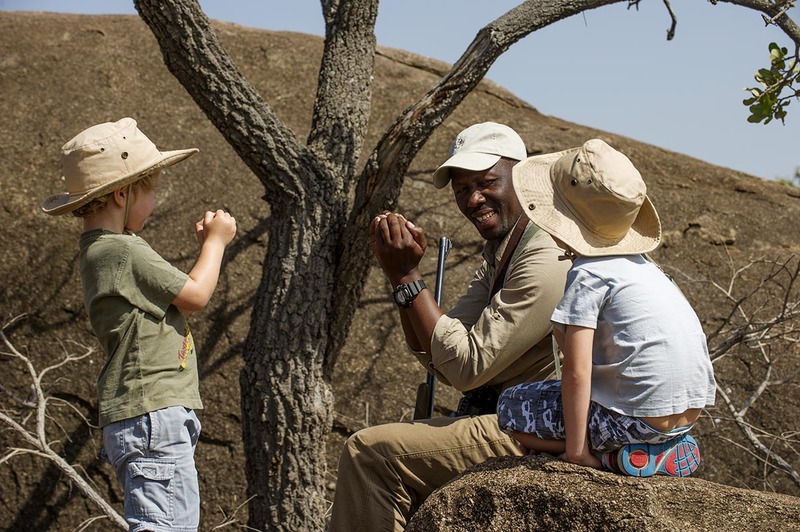 We decided that we needed to return the compliment before the end of our Tanzania family safari, and readily agreed to our guide’s suggestion of a walking safari. The wildebeest – still to attempt the river crossing – watched our progress with some bemusement, as our walk was a mere fraction of their journey. When we got back, our daughter excitedly told us she’d seen a small, non-venomous python and – by this point, a fearless Africa veteran – that she’s casually crouched next to it in her Facebook profile picture. Our Tanzania family safari was notable for the way each of the luxury lodges we stayed at managed to achieve a perfect balance between the wildlife experiences we’d enjoyed on previous safaris without our children, and the need to satisfy the slightly different requirements of one teenager undergoing digital withdrawal and a 10-year old nature freak in thrall to it all.We loved that there were so many activities offered to our kids, and that there was always a genuine attempt to engage and amuse young, curious minds.Seemingly effortlessly, the recipe was perfected: the shared family adventures we all very much wanted, and those occasional moments when, like a lioness stashing her cubs in a secret den, we needed some grown-up time to reconnect with each other.We quickly fell into the time-honoured rhythms of safari, from the cheerful early morning wake-ups to the inviolable rites of the sundowner. Equally, we had ample opportunities to appreciate that these weren’t the only sacred moments on our Tanzania family safari.Encouraging our son to reach higher in a leaping contest with Maasai warriors, or dipping one of our daughter’s home-baked giraffe-shaped cookies in my early morning coffee as she watched expectantly to check that I loved it, are memories that will last forever. The only things which were forgotten in all of this were the smart devices both kids would normally have been glued to. This was my idea of ‘dumbing down’. 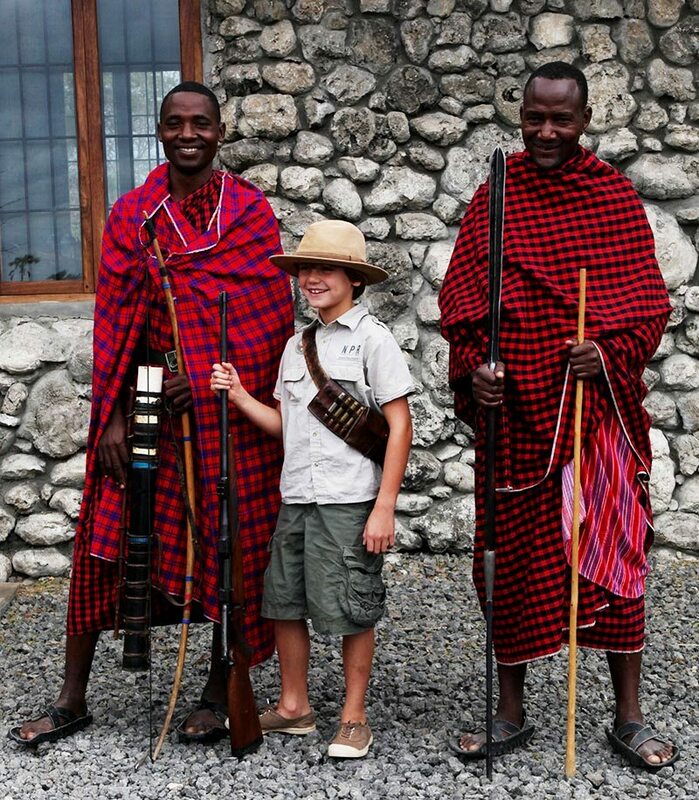 Our Tanzania family safari was notable for the way each of the luxury lodges we stayed at managed to achieve a perfect balance between the wildlife experiences we’d enjoyed on previous safaris without our children, and the need to satisfy the slightly different requirements of one teenager undergoing digital withdrawal and a 10-year old nature freak in thrall to it all. We loved that there were so many activities offered to our kids, and that there was always a genuine attempt to engage and amuse young, curious minds. 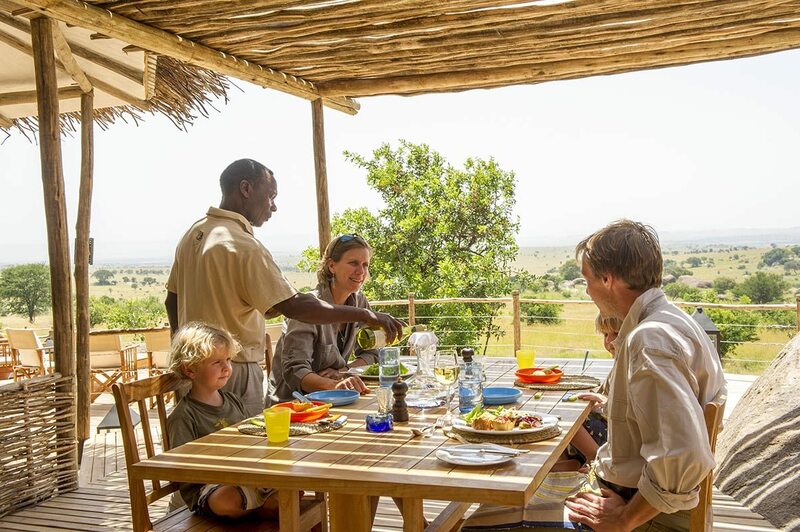 Seemingly effortlessly, the recipe was perfected: the shared family adventures we all very much wanted, and those occasional moments when, like a lioness stashing her cubs in a secret den, we needed some grown-up time to reconnect with each other. 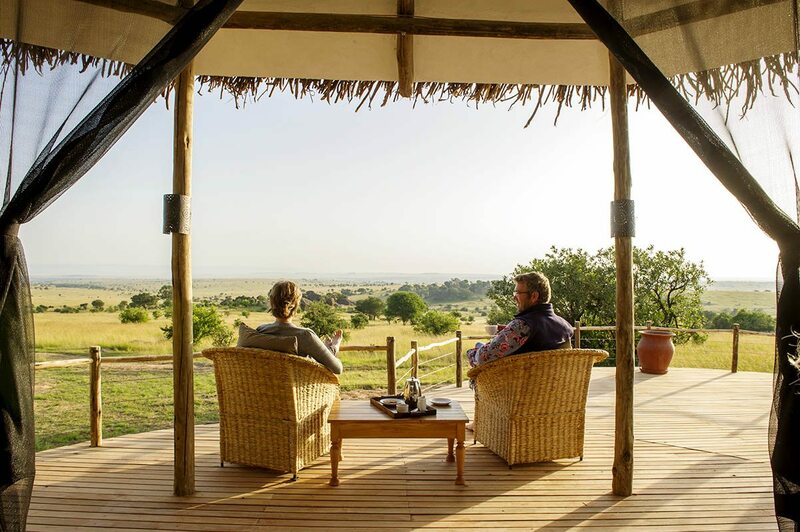 We quickly fell into the time-honoured rhythms of safari, from the cheerful early morning wake-ups to the inviolable rites of the sundowner. Equally, we had ample opportunities to appreciate that these weren’t the only sacred moments on our Tanzania family safari. Encouraging our son to reach higher in a leaping contest with Maasai warriors, or dipping one of our daughter’s home-baked giraffe-shaped cookies in my early morning coffee as she watched expectantly to check that I loved it, are memories that will last forever. The only things which were forgotten in all of this were the smart devices both kids would normally have been glued to. This was my idea of ‘dumbing down’. 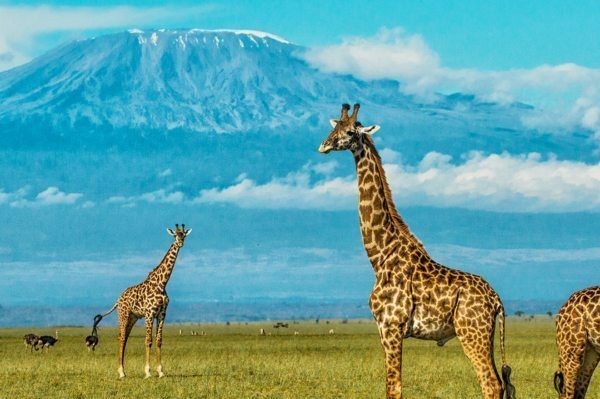 You’ll be met as you disembark from your international flight at Kilimanjaro International Airport in Arusha, and assisted through customs and immigration. 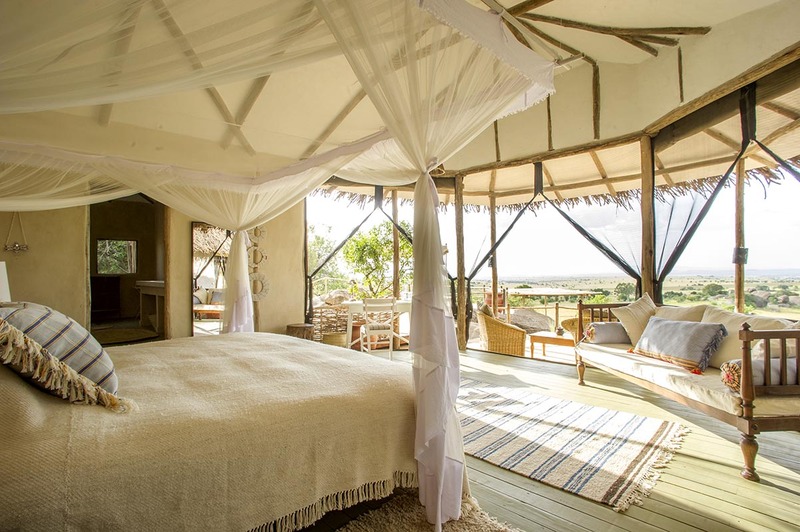 You’ll then take a scheduled light aircraft flight to Tarangire, followed by a transfer to Chem Chem Lodge near Lake Manyara, where you’ll spend three nights. 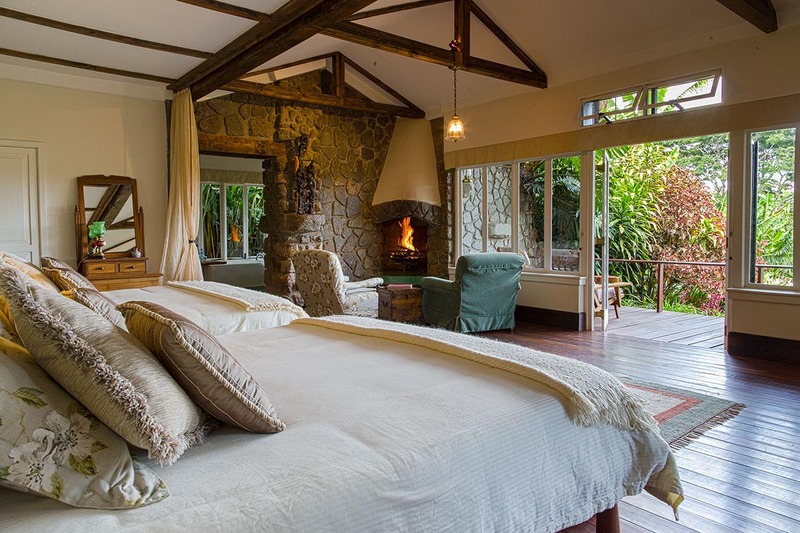 A transfer will take you from Chem Chem Lodge to Gibb’s Farm near Ngorongoro, where you’ll spend three nights. 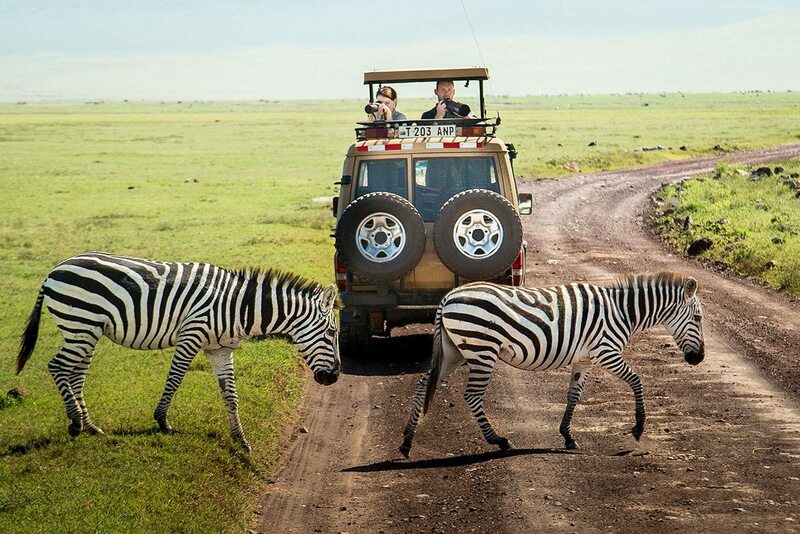 After a transfer from Gibb’s Farm to the airstrip, you’ll take a scheduled light-aircraft flight to the Serengeti. A transfer will take you to Mkombe’s House, where you’ll spend three nights. 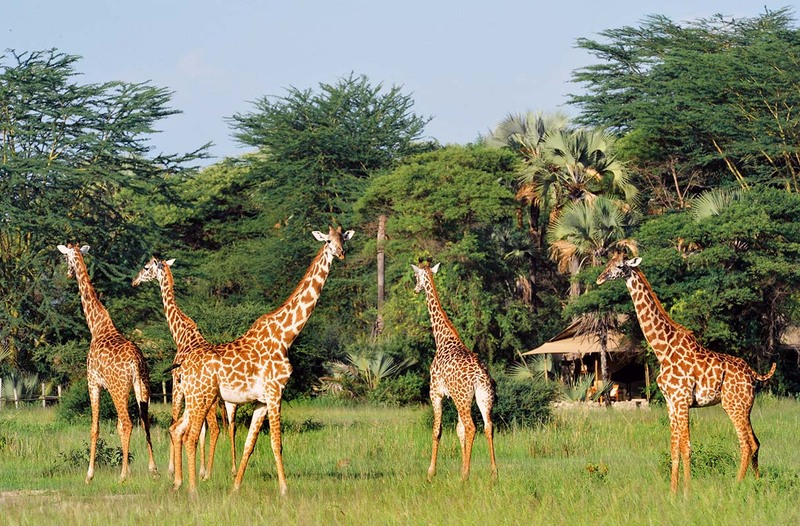 After a transfer from Mkombe’s House to the airstrip, you’ll take a scheduled light-aircraft flight to Kilimanjaro International Airport in Arusha, to connect with your international flight. 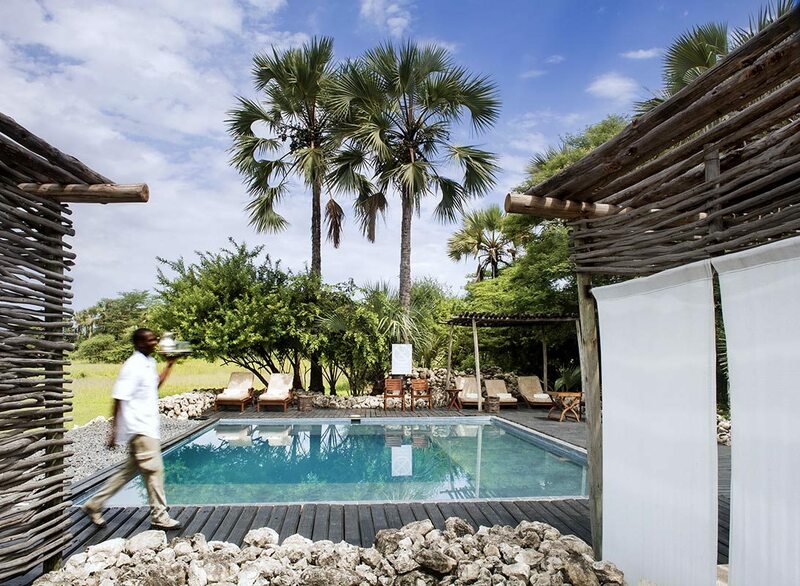 Surrounded by an oasis of palms, Chem Chem Lodge is located in the migration corridor between Tarangire and Lake Manyara national parks in Tanzania. 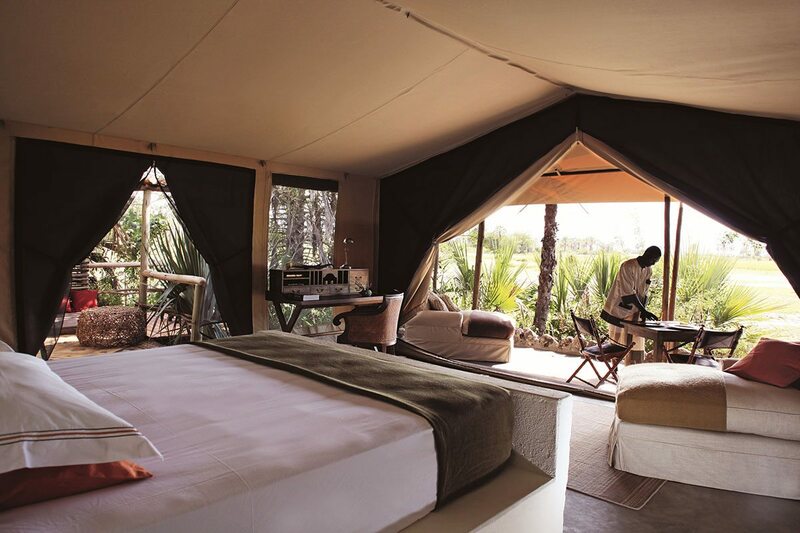 With eight elegant tented suites, a pool and a spa, you can relax and enjoy being pampered in the African wild.